SEASHELLS ON THE SHORE . . .
Another piece inspired by my love of the beach . . . Carefully handmade swirls are the shells you find on the beach. They are dotted with genuine diamond nuggets for maximum sparkle as they sway from hand hammered Swan French Hook Earwires. 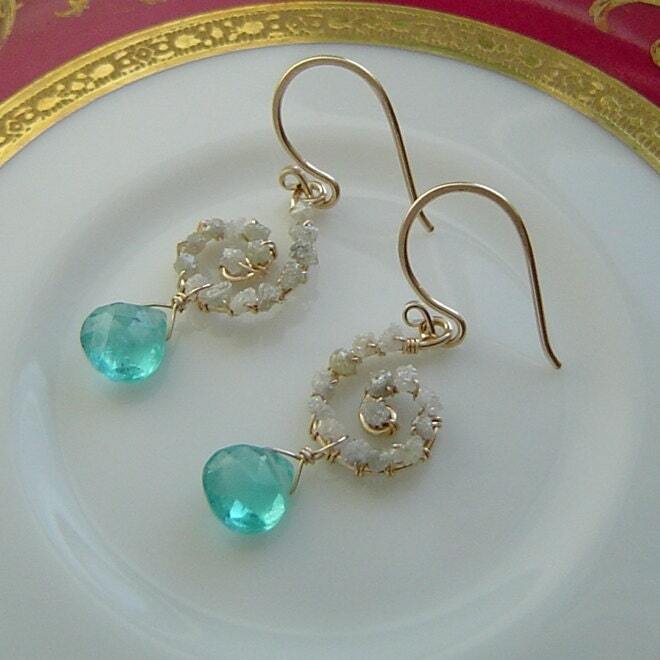 Ocean Blue Apatites faceted into briolette hearts represent the sea. Faceted Diamond Beads in a silver grey or milky color, combine in a trio to create this diamond charm necklace. 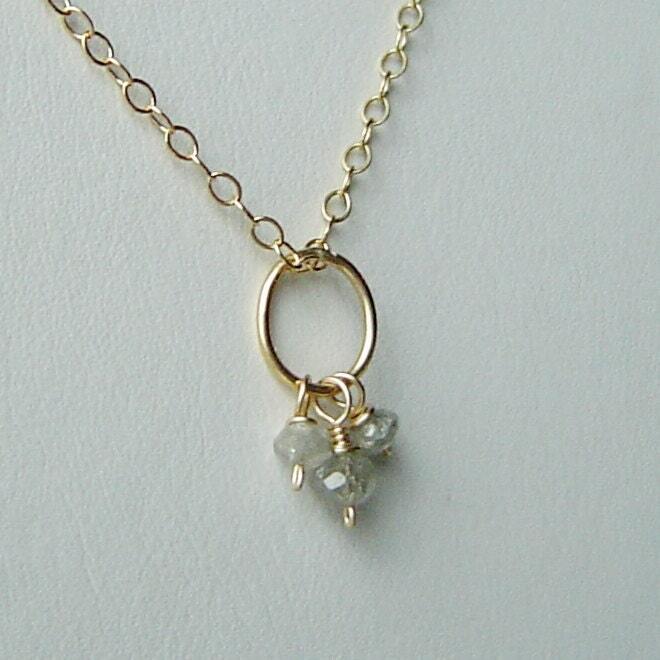 This lovely charm has a total diamond weight of .5 carats and hangs from a delicate cable chain of 14K Gold Fill.